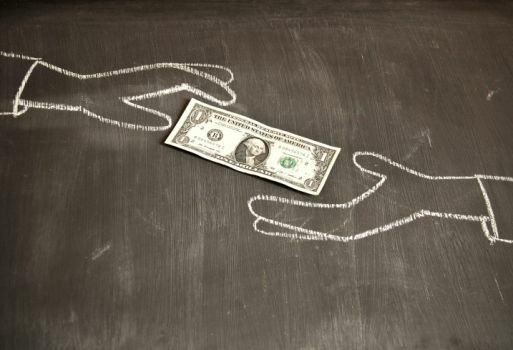 Peer to peer lenders – are they really that different to banks? Peer-to-peer lending , marketplace lending, P2P lending – call it what you will. There’s absolutely no doubt P2P is the topic du jour amongst investors and industry commentators. And on the surface it’s not hard to see why it’s the latest golden child of the fintech sector. P2P is a perfect storm of savvy emotional marketing hooks and a technology-driven, cultural zeitgeist. You see, despite our increasing reliance on the digital world, we continue to crave anything that gives us a more human connection – hence the rise of the sharing economy in the likes of Airbnb and Uber. Just like those savvy, everyday homeowners, who by sharing their spare rooms have discovered new income streams, savvy, everyday savers can now share their hard earned dollars directly with eager borrowers. No more middlemen, no more banks pocketing profits. Power to the people! Well, at least that’s how the market started out 5-6 years ago. Recently however there has been a tsunami of interest in P2P lending from an entirely different class of lender – institutional investors. For some of the bigger P2P platforms, institutional investors now take up more than half of the loans on issue. These organisations have deep pockets and plenty of smarts, which naturally they put to use to ensure they get the best pick of the bunch of loans on offer. Many argue this means slim pickings are left for the original lenders the platforms were intended to serve, and to whom the services continue to be aggressively marketed to. The stark reality is that for P2P to survive or even prosper, it needs institutional investors far more than it needs retail lenders like you and me. With low volume loans, higher rates of defaults from borrowers with higher risk profiles, scale is critical. P2Ps earn their money by collecting fees from both lenders and borrowers for loans originated on their platforms. That means to generate more profit they need more loans and more willing lenders. I’m certainly not disputing the fact that P2P lending has its place in today’s financial sector. I’m simply suggesting that beyond the media hype, a marketplace for lending, connecting large scale lenders to borrowers sounds a lot like a bank. It’s just that this marketplace is online, has a far snazzier website and doesn’t have the name ‘bank’ in the title. Clever!